We’ve long anticipated the first Infinix device to feature a fingerprint sensor and now it’s here. The Infinix X521 device is an upcoming Infinix device that was first spotted on Nairaland with Fingerprint sensor, sleek design and full metal body. Photo credits goes to Adebayooye the Nairalander. At first, the number wasn’t made known, but I also spotted it on the body of the device as X521. No word on the exact name, so you can take a guess on that. 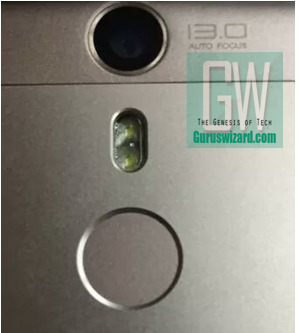 Further research also made me discovered that the Infinix X521 would come with a 13MP auto focus rear camera featuring dual LED flash as seen in the image above. We should also be expecting a 3GB RAM component on the device, and it would definitely run on Android 6.0 Marshmallow out of the box. Needless to say, more confirmation about the device specifications would be made known to us soonest, so take this info with a pinch of salt.